Collection of 100 ‘Cosmetic Packaging’ vector line icons, suitable for web, packaging, print, symbols, infographics and apps. 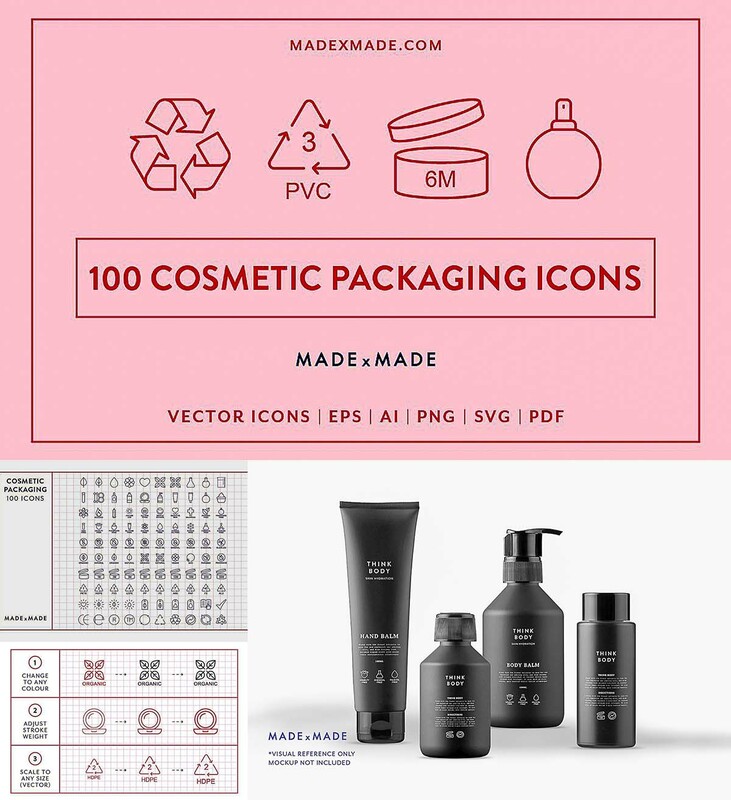 This set includes icons for hair and beauty, industry standards, recycling, product use by, free from and many more cosmetic related categories. File format: .ai, .svg, .pdf, .eps for Photoshop or other software. Tags: animal icon, cosmetics, flat icon, icon, line icon, package, science icon, symbol, vector icon.